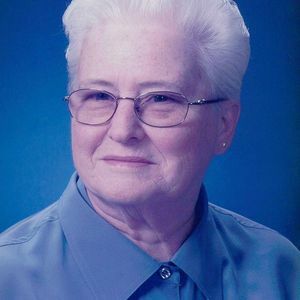 Ms. Dora Dean Burkeen, age 86 of Dexter, Kentucky, died Thursday, March 28, 2019 at the Murray Calloway County Hospital. Ms. Burkeen was born on March 26, 1933 to the late Jacob Howard York and Nanie (Rose) York. Ms. Burkeen retired from Mattel and she was a member of the Palestine United Methodist Church, the United Methodist Women, and the Eastern Star. In addition to her parents Ms. Burkeen was preceded in death by one daughter, Shelia Mullinax; one brother, "Buster" York; two sisters, Lyda Mae Seaford and Lillie Anderson. Ms. Burkeen is survived by one son, Rodney Keith Burkeen and wife Carolyn of Benton, Kentucky; son-in-law, David Mullinax of Dexter, Kentucky; one sister, Loretta Rudolph of Benton, Kentucky; six grandchildren, Christy Williams Burkeen, Angel Clere and husband Todd, Kylie (Mullinax) New and husband Michael, Brandi Schiller and husband Mike, Morgan Walker and husband James and Tyler Mullinax; four great – grandchildren, Kelsey Mason and husband Evan, Alex New, Parker Schiller, and Alba Walker; as well as three great-great grandchildren, Ellie Mason, Scott Mason and Easton Mason. Funeral services will be held on Monday, April 1, 2019 at 11:00 a.m. at the J.H. Churchill Funeral Home with Rev. Robert McKinney and Rev. Richard Burkeen officiating. Burial will follow in the Murray Memorial Gardens. Visitation will be held on Sunday, March 31, 2019 from 5:00 – 8:00 p.m. at the J.H. Churchill Funeral Home. Expressions of sympathy can be made to the Murray Special Olympics, 1401 Story Avenue, Murray, Kentucky 42071.